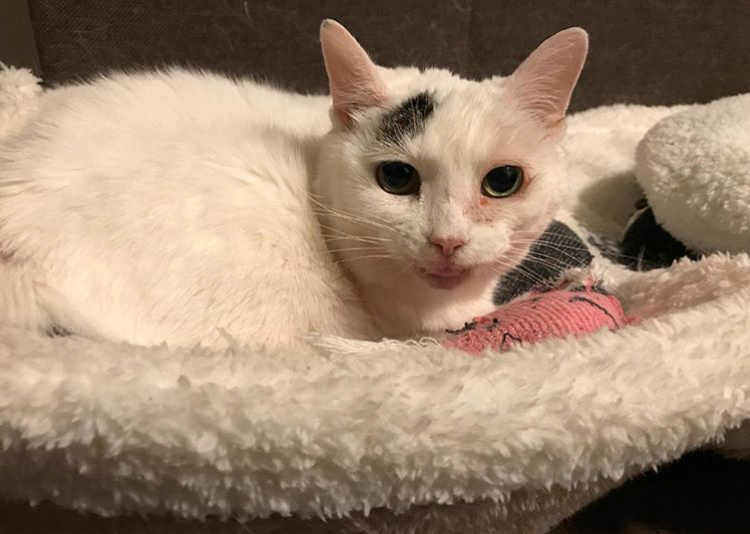 Sarafina is a sweet senior who is also a kitten nanny in her foster home! 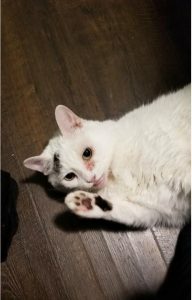 Once upon a time Sarafina was adopted from a local shelter only to end up living in the person’s basement for two years. She was then turned back into the same shelter when the owner found out Sarafina had fleas. Sadly she ended up on death row because of her age and because she was very stressed. But that is when Sarafina’s lucky began to change. A foster stepped up and we are able to whisk Sarafina to safety. She has been decompressing in her foster home and has been treated by our vets (her fleas are long gone!). Sarafina can be shy at first but loves to curl up close to people who hold her. She isn’t a fan of the adult animals in the home but LOVES the kittens (who are also fosters.) She is the kitten nanny! Though Sarafina is safe now she is still waiting for her fairy tale ending where she has a home of her own. She is currently in foster care in Staten Island, NY. Please contact us for more info about this sweet girl or to set up a time to meet her.